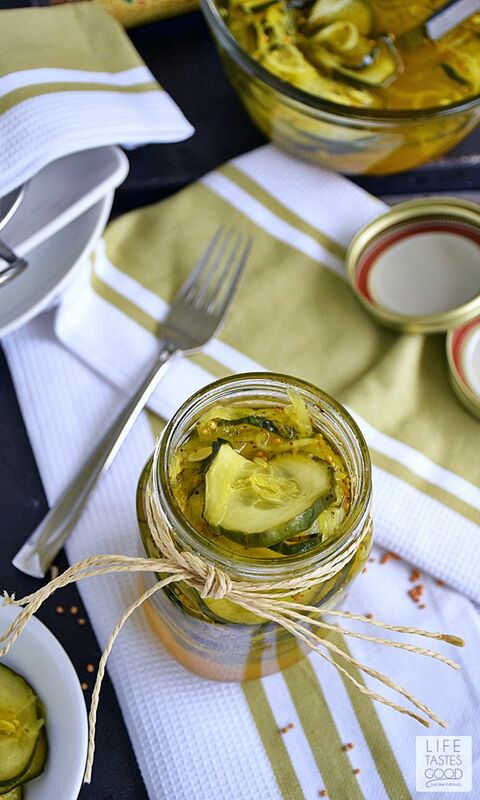 Homemade Bread and Butter Pickles are easy to make, fresh, and the perfect accompaniment to your favorite sandwich. This recipe for refrigerator pickles uses the microwave, so the pickles are ready in about 15 minutes from start to finish! 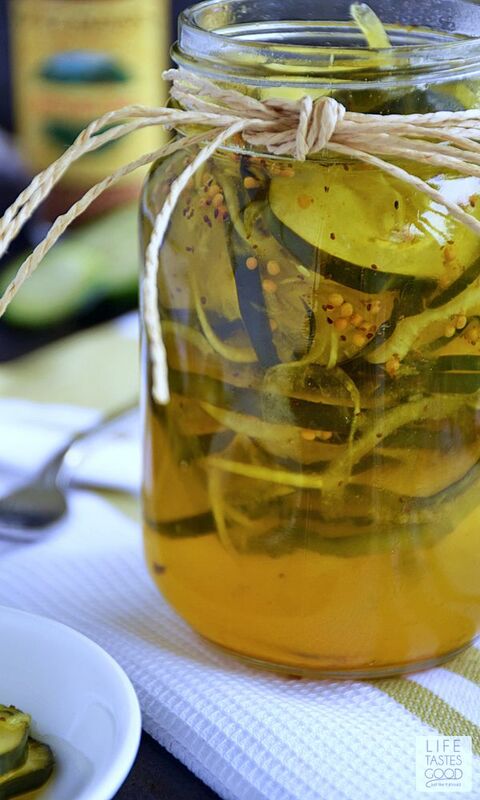 Not only are these homemade pickles easy and quick to make, they are better for you than store-bought pickles, and the taste and texture is better too! They are sweeter, crunchier (my favorite part! ), and lower in sodium than your average store-bought Bread and Butter Pickles. I love making everything from scratch at home because I can control the ingredients that go into my food, and I know who has been handling it too. That's important to me. I made these pickles up one day on a whim simply because I had a cucumber I needed to use up before it went bad. I didn't want it to go to waste, so I decided pickling it would be the perfect way to preserve it. 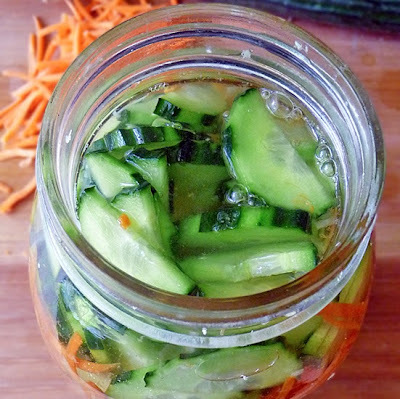 Pickling in a vinegar solution is a popular way to preserve food as few bacteria can survive in such an acidic environment. 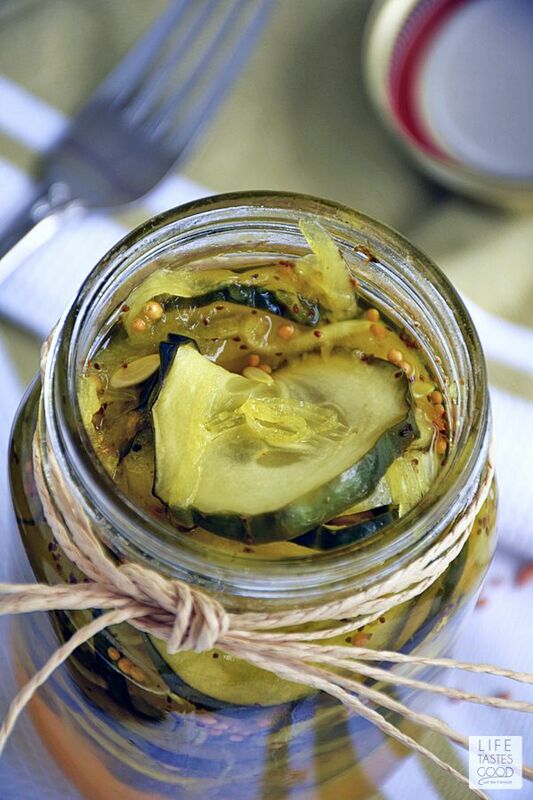 Additionally, pickling changes the taste and texture of the food. The cucumber I rescued went from a bright-colored, firm fruit with a slightly bitter taste that makes a nice salad topping, to a crispy Bread and Butter Pickle chip with a tangy sweet taste and dull green color that I want to devour on everything from sandwiches to hot dogs and even eat right out of the jar!! Needless to say I'm a big fan of these Bread and Butter Pickles. Don is too. He pretty much ate these for lunch everyday, to the point I had to make more just to get the pictures in order to share them with you all! You want a little ham and cheese on your pickle sandwich, honey?? Although, these pickles should keep up to a month in the fridge, they didn't even last a week in our house! We gobbled them right up!! Thank goodness they are super easy to make, so it was no biggie to whip up another batch! Next time I'll double the recipe to share with friends and family! 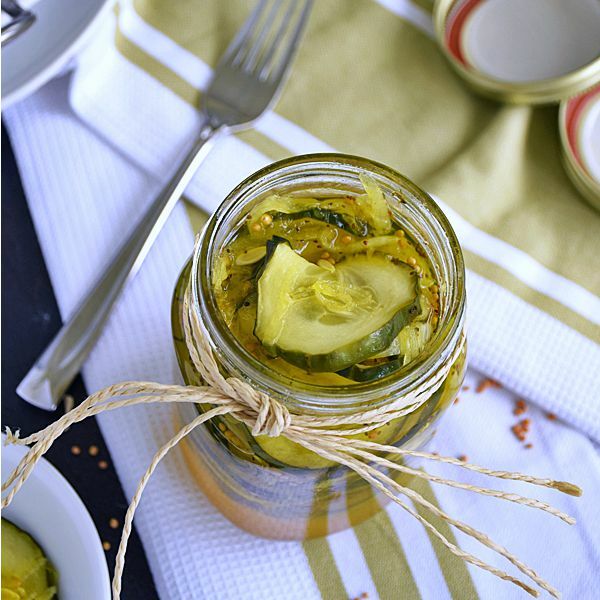 Today the #SundaySupper Tastemakers are focusing on preserving summer's bounty with recipes like my Homemade Bread and Butter Pickles for saving the goodness of the season. Be sure to scroll down past my recipe where you'll find links to all of today's recipes. 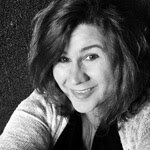 A big thank you goes out to our fabulous hosts, Stacy of Food Lust People Love and Heather of Hezzi-D's Books and Cooks, for making this event possible. In a microwave safe bowl, mix the cucumber and onion slices with 3/4 cup sugar, 1/2 cup white vinegar, 1 teaspoon kosher salt, 1/2 teaspoon mustard seeds, 1/4 teaspoon celery seed, and 1/4 teaspoon ground turmeric. Note: I used my Mandoline Slicer to slice the pickles. It makes quick work of the slicing and is easier to get the thickness right. Microwave on high 4 minutes and stir. Microwave on high 3 to 4 minutes more or until the cucumbers are tender and the onions are translucent. Stir again. Keep in mind microwave ovens vary in power, so adjust the time accordingly. Transfer to sterile mason jars using a Wide-Mouth Funnel. Seal and store in the refrigerator up to a month. Enjoy! Great tip to use the microwave to speed the process up, Marion! I'd love a jar or two of these in the fridge! This reminds me of the bread and butter pickles my parents used to make years ago when they had a big garden. I'll have to make some and share them with my mom. Bread and butter pickles are my favorite! And your speedy microwave recipe is the perfect way to make a quick, yummy batch! These are my husbands favorites...I definitely need to make a batch! These are very similar to the refrigerator pickles that I make. Aren't they delicious?!! My guy's absolute favorite pickle. Thanks for speeding up the process! These look amazing! Thanks for the recipe. Can't wait to try to make some. Pinned for later. 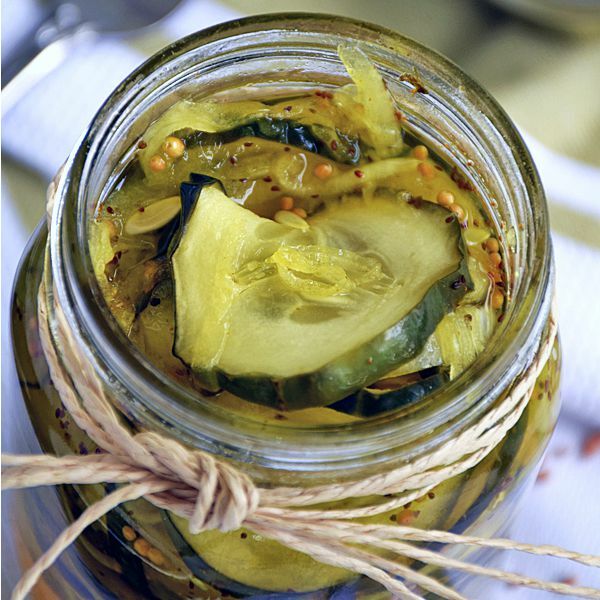 I'm going to have to whip up a jar of these alongside my favourite dills, my dad loves them! Can you process and can these? Can I process and can these?